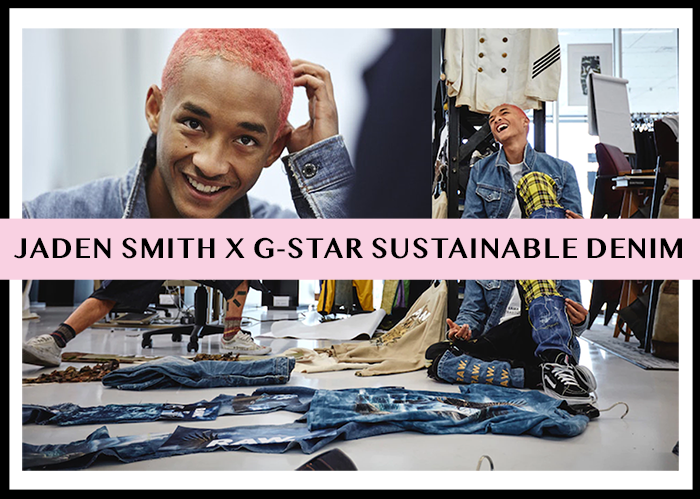 Jaden Smith Teams Up With G-Star Raw On Sustainable Denim Line | Fashion Fab News - fashion, beauty, celebrities, designers . 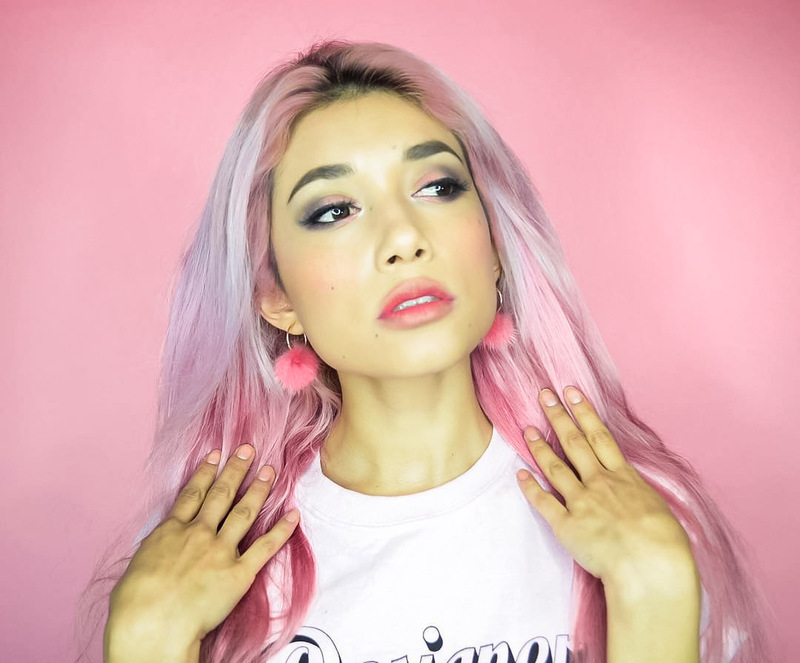 More and more brands and celebrities are joining the sustainable movement. This is amazing! Hopefully, they are being honest about their practices and focusing on spreading a good message, not green-washing their public in order to sell more. 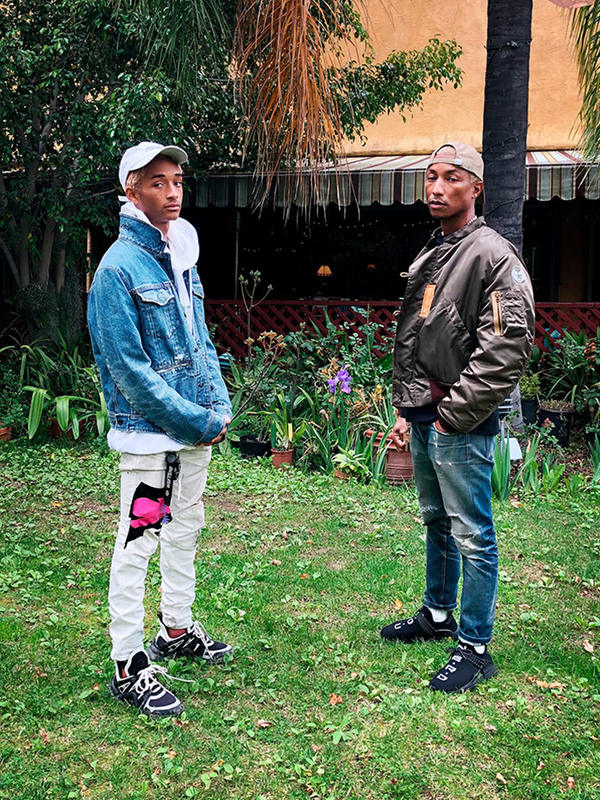 This time, Jaden Smith and G-Star Raw co-owner (Pharrell Williams) are starting a new and eco-friendly collaboration. Before the announcement of this new collection with Jaden Smith, G-star started promoting their “most sustainable jean to date” for spring 2018 and launched it on February 15th, the G-Star Elwood RFTPi jean which has the Cradle To Cradle Products Innovation Institute Gold-Level certification. The Denim indigo fabric from G-Star is made from 100% organic cotton grown without any pesticides or synthetic fertilizers, and eco-finished metal buttons were swapped in for all rivets and zippers for ease of future recycling. Of course, the Jaden Smith's collab line would have the sustainable denim fabric and trims mentioned before with the addition of the creative and cool details that this singer/rapper/icon wants to add to the collection. I am excited to see all the pieces from this collaboration. Jaden Smith has a great sense of style and I am sure he would bring great design ideas to G-star. For now, we would have to wait for the new collection to launch later this year in Fall 2018. I will be one of the first customers of this sustainable denim pieces! Check out a behind-the-scenes peek at the new line, below. Our most sustainable jeans ever collection features D-Staq RFTPi cropped denim jacket for women. Have a look through our link in bio.